Submit your Cleveland Portuguese news and events. 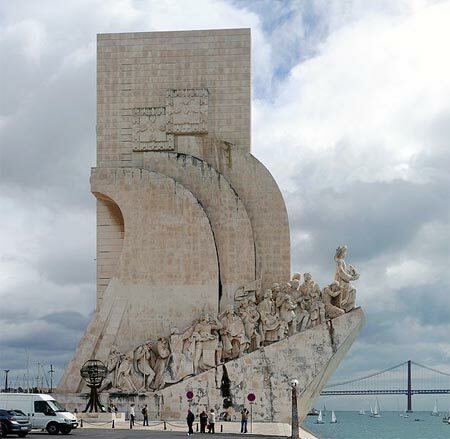 Portuguese Age of Discovery in Lisbon. Submit your Cleveland Portuguese organizations and resources. 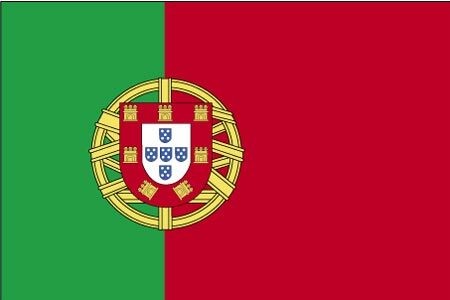 Besides Portugal, the Portuguese language is also official and spoken in Brazil, Angola, Mozambique, Cape Verde, S�o Tom� and Pr�ncipe, Guinea-Bissau, East Timor and Macau Special Administrative Region (People's Republic of China). Submit your Cleveland Portuguese jobs, classes and other opportunities. A beach near Largos in the Algarve. Tell us about the music, food, holidays, traditions, costumes, language and other qualities that make the Portuguese so special. 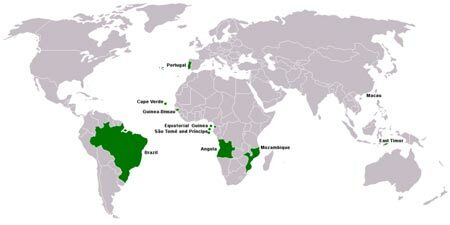 Following its heyday as a global maritime power during the 15th and 16th centuries, Portugal lost much of its wealth and status with the destruction of Lisbon in a 1755 earthquake, occupation during the Napoleonic Wars, and the independence of its wealthiest colony of Brazil in 1822. A 1910 revolution deposed the monarchy; for most of the next six decades, repressive governments ran the country. In 1974, a left-wing military coup installed broad democratic reforms. 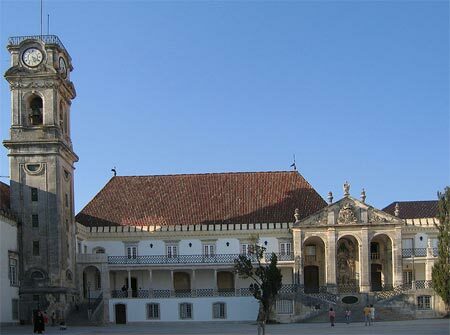 The following year, Portugal granted independence to all of its African colonies. 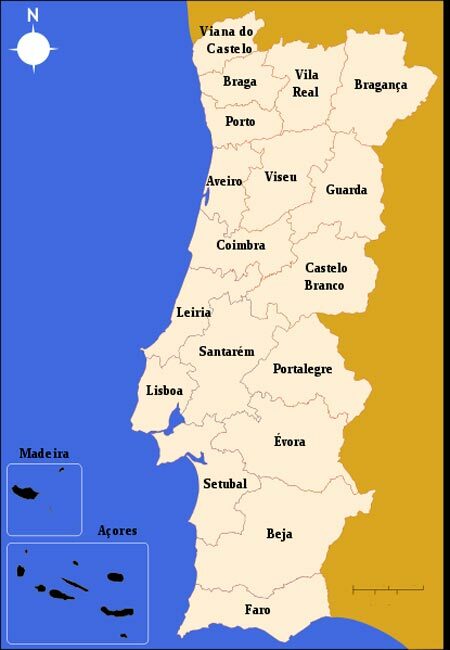 Portugal is a founding member of NATO and entered the EC (now the EU) in 1986. 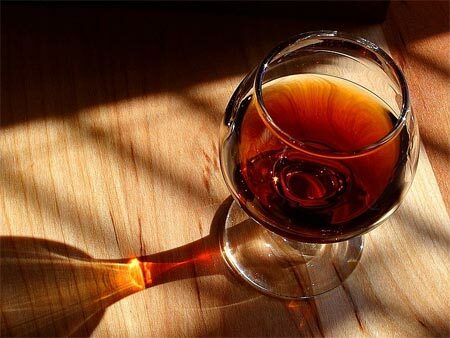 Submit your Cleveland Portuguese cultural items. 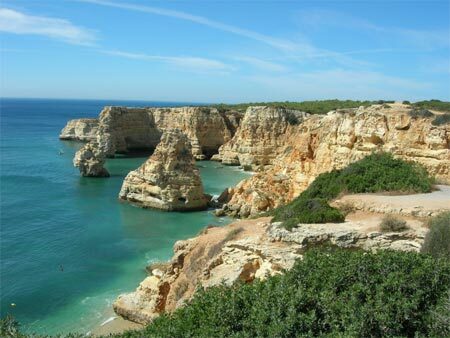 Praia da Marinha - Beach of the Navy - near Lagoa city, Algarve. If you are interested in being considered to be an official ClevelandPeople.com Ambassador to the Cleveland Portuguese community, please contact us. If you want to reach the Portuguese community in Cleveland and Northeast Ohio, please contact us.